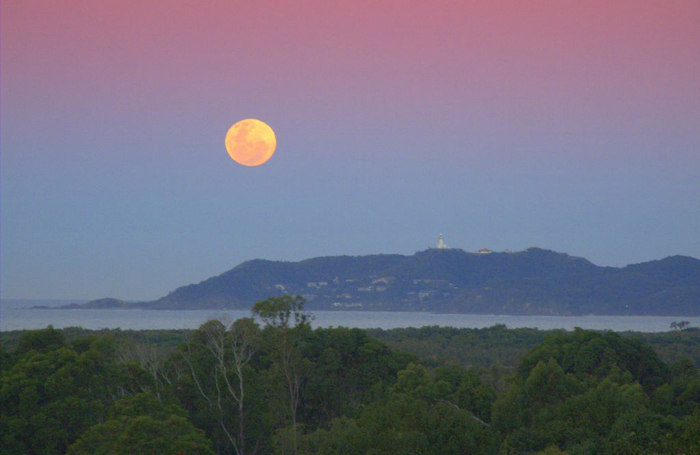 from east to west of Cape Byron and Mount Warning. Gondwana is a mature community with a well-defined vision of community and spiritual life. and his vision of love, meditation, celebration and awakening. the community, but the community life of Gondwana Sanctuary remains a constant presence and inspiration. of environmental repair and regeneration, and the majority of the total land area is being progressively revegetated. live in the Community House, or in one of the residential dwellings. Next Full Moon Wednesday 20th July. Moon rises 5.32pm....Campfire for lovers of the Moon, and Such Good Company, Music, Expansive Sky and Ocean. .
See details on Osho Gondwana - facebook. Community dinner for residents and friends of Gondwana. Manjula and Paripurn have produced a beautiful little film about the old historical Gondwana. See Gondwana - A Love Song. Check out Bodhi's compilation Voices of Gondwana on YouTube. 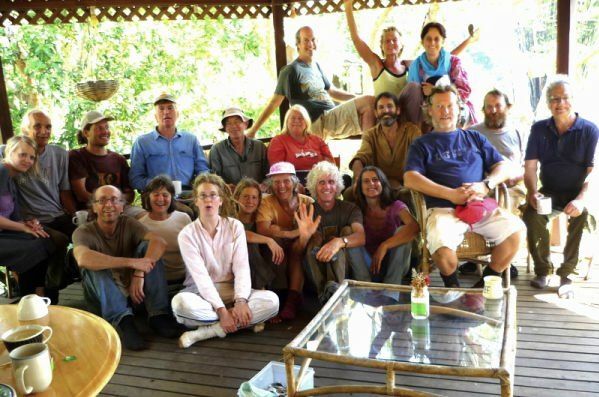 This was filmed at Gondwana Sanctuary, and features many members of the community. Yuti has recommenced Dru Yoga classes at Gondwana. $15 per class. or $65 for 5 classes booked ahead. The classes are held in the Gondwana Meditation Hall, and Yuti is happy at any time to share her love and knowledge of this beautiful sadhana. For more about Dru Yoga (Stillness in Motion), see here. Dru Yoga offers an enormous range of very safe, reliable and practical sequences. Each one has been designed to improve our physical, mental and emotional ways of being in our daily life. We become more aware of our physical body and its involvement in our general state of being. We also notice which thoughts have positive affects upon ourselves and of those around us. While all of these outer changes are occurring we become more sensitive and aware of what is happening in the more subtle aspects of our selves, through breath awareness and eventually chakra/energy awareness. I highly recommend Dru Yoga and can verify the practical benefits. I am one of the many thousands of people worldwide who have been using Dru Yoga for 8 years and have achieved profound changes in the physical, mental, emotional, spiritual way of being. I like to emphasise here that it does not matter where you come from or what state of health or consciousness you carry when you arrive. Through Dru Yoga you are welcomed into the relearning /returning to your original state of balance, good health and contentment in the heart. I am very happy to hold private sessions for those who need personal guidance, as well as weekly Dru Yoga classes.